5G dominated GSMA Intelligence’s (GSMAi) list of trends tipped to shape the industry to 2025, which also delved into the future of the IoT, content and operator revenue. The analyst house predicted in its 2018 Global Mobile Trends report that 5G will account for about 15 per cent of global mobile connections by 2025, but this will be driven by only a handful of markets: China, Japan, Korea and the US. Europe could be a 5G leader too, but only if spectrum availability and fragmentation issues are resolved. Other predictions of note include a claim that the next generation of internet users will be mobile only. By 2025, 3.7 billion people – 72 per cent of the global internet base – will access the internet exclusively via mobile. Around half of new users coming online over this period will come from just five markets: China, India, Indonesia, Nigeria and Pakistan. 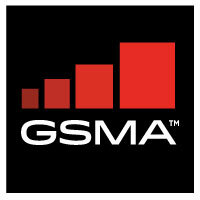 GSMAi also said connectivity will be commoditised in the IoT era. The vast majority of growth, it argued, will come from the applications, platforms and services layer, which will account for more than two-thirds of global IoT revenue ($754 billion) by 2025. Meanwhile, connectivity will account for only around 5 per cent of the IoT revenue opportunity ($51 billion). Though many operators are experimenting with content plays, the firm pointed out content production is expensive, noting Netflix spent $6.3 billion on original programming in 2017, not far behind Time Warner ($8 billion), Fox ($8 billion) and Disney ($7.8 billion). Due to these high costs, GSMAi said it is a more realistic prospect for operators to partner on or license content rather than acquiring or creating their own. Finally, the data experts argued volume growth is clearer than revenue growth. An additional 16 billion IoT connections across the industrial and consumer markets will be added by 2025, alongside ongoing 4G and 5G connections growth. However, until fresh revenue streams are unlocked in these new areas, GSMAi believes the revenue outlook for operators is modest. Global mobile revenues topped $1 trillion in 2017, but revenue growth is likely to stay at around 1 per cent a year in the period to 2025, the firm said.